With digital technologies like social media – as well as e-commerce and a host of other online solutions –becoming completely integrated into our everyday lives, it’s important to teach people how to behave properly on the internet. This type of Digital Citizenship is essential for this day and age, where industries, politics, and society in general, are transitioning into the digital landscape. Educating teenagers on Digital Citizenship should then become a priority for educations. 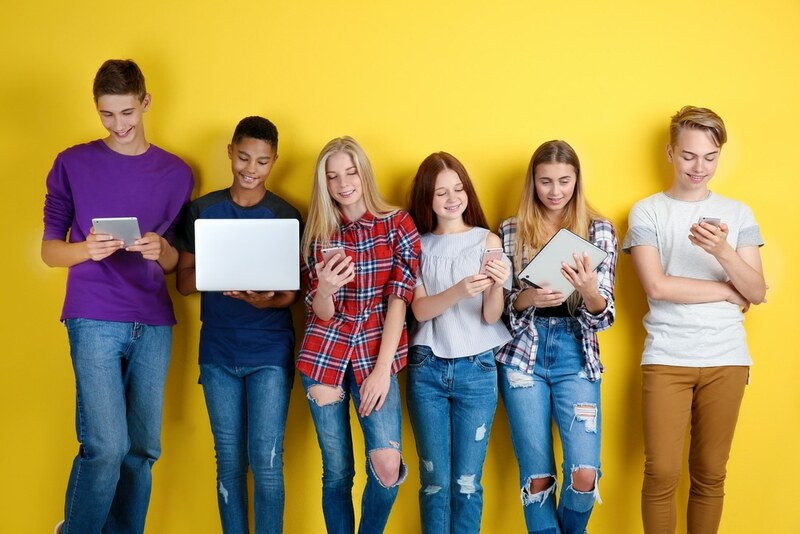 Digital Citizenship lesson plans for high school students should focus on teaching them about the nine elements of digital citizenship, the three principles of digital citizenship, and applications of the those two concepts in real-life scenarios. The first and most important aspect of being a digital citizen is access to technology. In previous decades, this was problematic largely because of factors like socioeconomic status, learning disabilities, and even location. However, because of advances in internet infrastructure building and cheaper computers, digital access is now possible despite those factors. In fact, many schools both here and abroad are integrating their teaching programs with internet technology, offering lessons on digital citizenship, computer training, and many more. Encouraging digital access for everyone should be a priority of Digital Citizens. With more and more industries shifting towards paperless transactions and investing in digital currencies, commerce (and, indeed, most economies) is now mostly online. Digital citizens should be active participants in the e-commerce industry, as well as proponents of making it accessible to all. Aside from that, a Digital Citizen must also be wary of the risks e-commerce brings: credit card fraud, unstable cryptocurrency markets, and online scams, to name a few. Digital citizens must be knowledgeable in weighing the pros and cons of digital commerce so that they can make informed decisions. One of the key aspects of digital technology is its ability to bring people closer together by facilitating easier communication. Digital Citizens must be adept at using online communication mediums like email, instant messaging apps, twitter, among other things, and must also be active in teaching people how to use this technology properly. But beyond competence, digital citizens must also be aware of each medium’s code of conduct. Proper messaging etiquette should be followed, and expanded so as to include as many people as possible. This deals with the understanding of how to use various digital devices. For example, how to properly search for something on a search engine versus a database. How to use various online logs. Oftentimes many educational institutions will help form an individual’s digital literacy. Speaking of competence, Digital Citizens must display a rote understanding of how to use digital devices, from hardware like tablets and smartphones, to understanding how to use software like search engines and databases. The burden of digital literacy education mainly falls on the shoulders of schools and teachers, but informal training via regular usage is also encouraged. As Digital Citizens, teens must be able to use technology and teach other people how to use it. Again, inclusion of as many people as possible in the digital age is essential for the growth of any Digital Citizen. One of the most relevant topics to discuss, primarily with high school students, is digital etiquette. Much like in the real world, proper manners and codes of conduct must be followed online, especially in various messaging apps and social media. With cyberbullying on the rise, it’s doubly important for teenagers and high school students to learn about the impact their online behavior has on other people. For them to become upstanding Digital Citizens, young people must be taught how to act like a productive member of cyber society. With new technology comes new laws that govern it, and Digital Citizens are expected to know the basics. Illegal activities such as identity theft, creating viruses, plagiarism, cyberbullying, spamming, illegal downloads, and other kinds of destructive behavior is highly discouraged. As responsible members of cyberspace, digital citizens are expected, much like in real life, to abide by the cyber laws that govern their place of residence. Every digital citizen is granted rights while in the digital world. These include, but are not limited to: privacy, freedom of speech, the right to internet access, freedom of assembly online, and right to develop their internet infrastructure. These rights were outlined by various UN bodies since 2003. A downside of the constant use of technology is the physical stress it places on people’s bodies. Digital citizens must be cognizant of the ill effects of too much internet usage and should take action to mitigate these. Digital citizens are well aware of the dangers the digital landscape has in store, from hackers and spammers to identity thieves and fake news peddlers. As regular users of technology, Digital Citizens must be able to take necessary precautions to protect themselves and others from malicious online attacks. Along with the nine elements, think-tank DigitalCitizenship.net also outlined three underlying principles that guide Digital Citizens. These principles are meant to define the responsible and appropriate use of technology in the digital world. The elements of digital law, access, and etiquette fall under the principle of respect. This principle underlines the importance of digital citizens respecting each other’s space and giving them basic decency when interacting with each other. Communication, literacy, and communication are all governed under the principle to educate. Digital citizens must encourage other people to use technology and be on-hand to educate them in proper etiquette and usage. Keeping the digital landscape safe is the responsibility of every digital citizen, and the elements of security, health, and rights all fall under this principle. 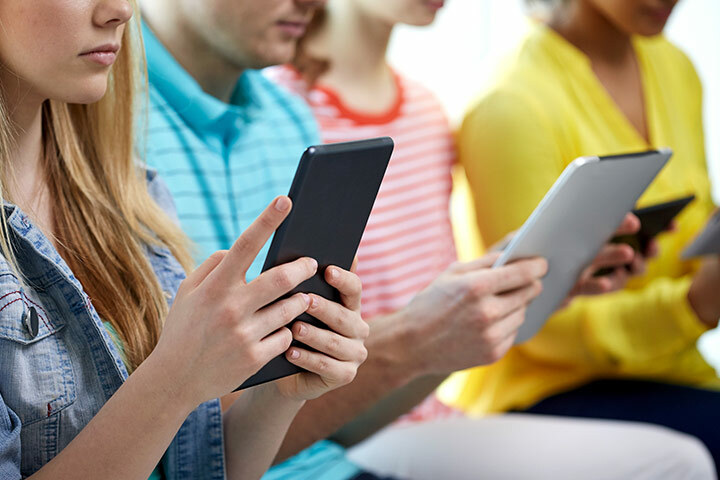 Now that your students have been made aware of what it takes to be a Digital Citizenship, you can take it further by designing lesson plans that educate them about Digital Citizenship while using real-life examples to help them understand better. Ask your students to mark down how many times they accessed digital technology during the day. This includes checking social media, using a messaging app, among others. List down their answers and write the average number on the board. After you’ve written down the class average, ask your students to define “citizenship”. What does it mean for them? Ask as many students as you can and write their definitions down on the board. Write students’ ideas on the board as well. Now ask them if citizenship is the same as digital citizenship. Do they agree or disagree with it? Why or why not? Write these down as well. Ask your students to read aloud the nine elements of digital citizenship, as well as its three principles. Now that they’ve had a recap of Digital Citizenship, ask them again if their definitions of citizenship and digital citizenship remain the same. Have their views changed? What are the differences between the two? Do they consider themselves as native digital citizens? What about their parents or grandparents? Ask them why or why not. Prepare some reading material regarding Digital Citizenship and distribute it amongst your students. Once they’re done reading your materials, divide the class into three groups: the first group will discuss digital etiquette, the second will discuss digital literacy, and the third group will discuss digital safety. Give each group 15 minutes to discuss what they know about these elements. Once their 15 minutes is up, ask each group to provide 3 examples of issues that each element faces on a regular basis. Once they’ve come up with these examples, ask them to brainstorm possible solutions to solve the issue or at least prevent it from happening again. Have each group present to the class. Open up the floor for debate and moderate the comments as much as possible. How can individuals become digital citizens? What steps can they take to become better digital citizens? Should digital citizens be left to roam the digital landscape freely, or should they be regulated? Why or why not? How do ephemeral sites like Snapchat impact our daily lives? Why does their generation choose to use ephemeral apps? Why do they think other people use ephemeral apps? What is the appeal of using an app that only posts videos, images, or texts for a limited amount of time? What is unappealing about it? Are these apps safe? Explain. How is your privacy protected within the app? Discuss the recent privacy breach issues regarding social media apps and sites, specifically Snapchat. Ask them if they’re aware of the privacy breach and how they reacted when they found out. What fact about Snapchat did they learn just now? Did it change the way they see Snapchat? Why or why not? Explain to your students about the differing opinions people have regarding ephemeral sites and apps. Show them quotes and interviews from industry leaders. Ask them if they agree or disagree. Task them with a writing exercise wherein they write down their opinions. Once complete, ask each student to present their opinion to the class. Once everyone has had a turn, open up the floor for a roundtable discussion. Facilitate the debate and make sure everyone remains on point and respectful. At the end, ask them again: how do ephemeral sites affect our daily lives? High school students are at a critical age where they are starting to form opinions and views of their own. As they mature, these opinions will solidify and turn into political stances that they’ll leverage in the future. With technology continuing to advance every day, and with the constant integration of technology into everyday life, questions like the ones you presented will come up and challenge them. By educating them early about Digital Citizenship, they’ll be well-armed to tackle any issue that arises in the future.